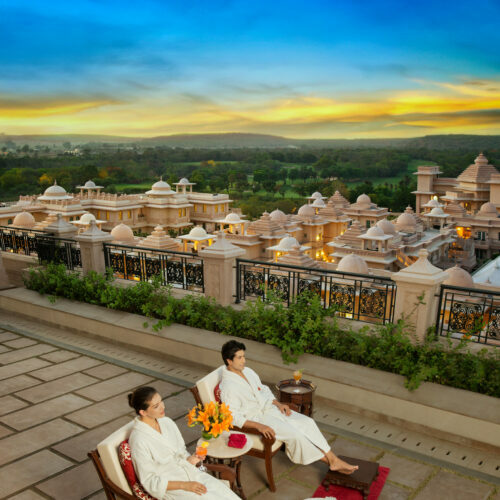 A luxury collection retreat, this 104 all-suite hotel offers a tranquil oasis of calm just an hour outside the bustling capital of New Delhi. 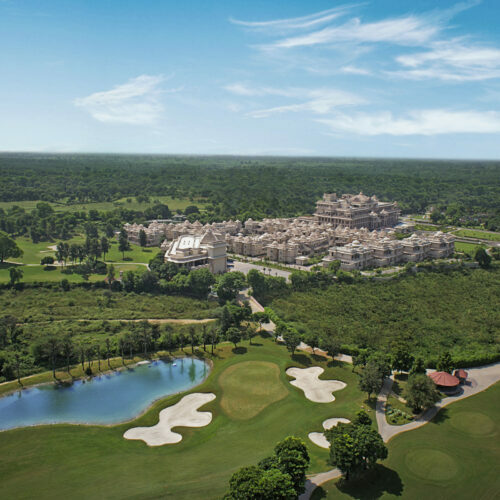 The newly built hotel provides a 27-hole championship signature golf course designed by Jack Nicklaus, the most accomplished player in the history of the sport. It is the only one of its kind in South East Asia and there are three specialised courses. Each of the 100 deluxe suites are complete with butler service, separate living rooms decorated in muted tones, spacious marble bathrooms, and a balcony overlooking the water bodies. The Presidential suites are vast with private pools, fully equipped kitchen, dining room, study, lounge and two en-suite bedrooms. For those seeking wellness there is the Kaya Kalp – The royal Spa, a sanctuary for holistic wellbeing. 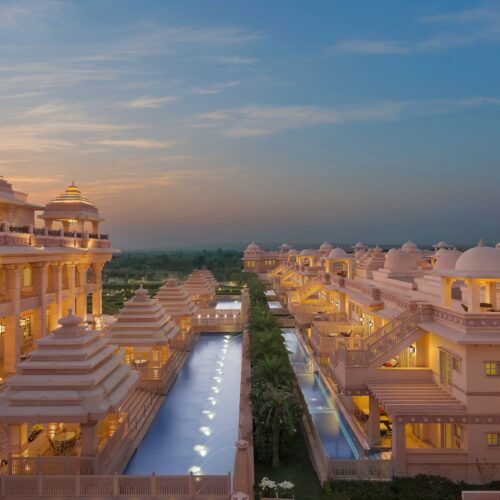 The 3251 sqm spa provides luxury spa experiences by traditional indigenous therapies, ancient Ayurvedic practices and international healing forms of wellbeing. 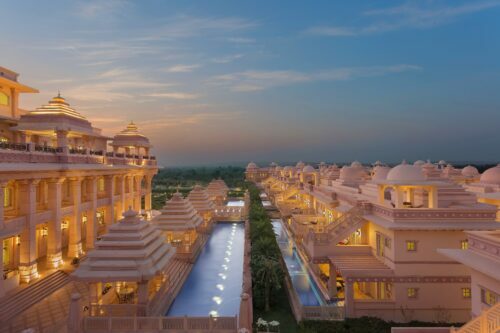 The four restaurants offer a wonderful array of world class cuisine, including the unique culinary concepts of ‘Swasthya’ cuisine, and ‘Modern India Mosaics’.